Ηταν ταλαντούχος, βιρτουόζος. Ένας από τους διακεκριμένους σολίστες σαξοφώνου της τζαζ, της σόουλ, του μπλουζ. Ο Χανκ Κρόφορντ από την περασμένη Πέμπτη δεν είναι ανάμεσά μας. Έφυγε από τη ζωή σε ηλικία 74 ετών, στο σπίτι του στο Μέμφις. Η αδελφή του Ντολόρες δήλωσε πως αιτία θανάτου του ήταν το ισχυρό εγκεφαλικό που είχε υποστεί το 2000. Ο Κρόφορντ έκανε καριέρα ως μουσικός διευθυντής στην μπάντα του Ρέι Τσαρλς, ενώ κυκλοφόρησε αρκετά άλμπουμ με το δικό του συγκρότημα. Λένε πως το στυλ του στοιχειοθέτησε σχολή για μία ολόκληρη γενιά πνευστών μουσικών της τζαζ και σόουλ μουσικής. Εκτός του Ρέι Τσάρλς, ο Κρόφορντ συνεργάστηκε και με αστέρια του μπλουζ όπως ο Ερικ Κλάπτον, η Ετα Τζέιμς και ο Μπι Μπι Κίνγκ. «Όταν έπιανε το σαξόφωνο νόμιζες πως άκουγες άνθρωπο να τραγουδά», έγραψαν για χάρη του το 1986 οι «Νιου Γιόρκ Τάιμς». Hank Crawford, whose fluidly emotional saxophone solos as a sideman for Ray Charles led to a long career as a leader of jazz and soul bands and a lengthy discography for Atlantic, Kudu and Milestone Records, died Thursday at his home in Memphis. He was 74. The cause was complications of a stroke he had in 2000, his sister Delores said. Beginning in the early 1960s, when Mr. Crawford was music director for Charles’s big band and also recorded on his own as a bandleader, he was best known as an alto saxophonist who melded a wailing blues style to the melodic and rhythmic exigencies ofmodern jazz, funk and soul. 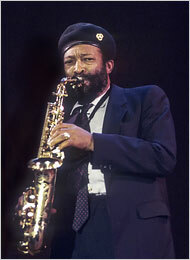 He proved an especially flexible musician over the decades as styles of popular music swiveled hither and yon. A sampling of his recorded tracks from the ’60s and ’70s would encompass, say, “The Peeper,” a bluesy swing number reminiscent of the Duke Ellington tunes he first listened to at home as a child; “New York’s One Soulful City,” an example of the rhythmically funky if melodically saccharine sounds of some television themes of the ’70s; and “I Hear a Symphony,” a soulful disco cover of the 1965 Supremes hit. But Mr. Crawford’s distinctively piercing sound remained constant, a forceful and urgent plaintiveness that was rooted in the blues and delivered with a preacher’s fervor. In addition to working with Charles, over the years he was an arranger, co-leader or sideman for blues masters of several different stripes, among them Eric Clapton, Etta James, B. B. King and Jimmy McGriff. Bennie Ross Crawford Jr. was born in Memphis on Dec. 21, 1934, into a large family and “a jazz and gospel household,” as Delores Crawford described it in a phone interview Monday. A pianist who played in church, he attended Manassas High School, an incubator of musical talent with alumni including Jimmie Lunceford and Isaac Hayes. Among Mr. Crawford’s own schoolmates were the future jazz notables George Coleman, Harold Mabern and Charles Lloyd. Mr. Crawford’s father was a truck driver who badly wanted to play the saxophone but did not have the chops; still, he contributed to the history of music. 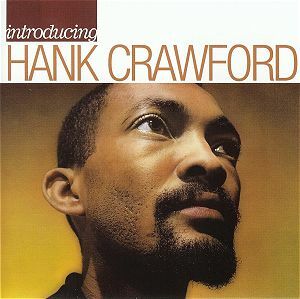 Mr. Crawford was given his nickname as a teenager by some fellow musicians who thought he sounded like a local saxophonist named Hank. He attended Tennessee State University in Nashville and was just short of a degree when Ray Charles came to town and offered him a gig in his band playing baritone sax. Mr. Crawford played baritone on several of Charles’s records, including “Ray Charles at Newport” and “What’d I Say.” During his years with Charles, the saxophone section also included David (Fathead) Newman, with whom he later collaborated frequently, and Leroy (Hog) Cooper. Both Mr. Newman and Mr. Cooper also died in January. Mr. Crawford, whose first marriage ended in divorce, was a widower. In addition to Delores Crawford, he is survived by two brothers, Danny and Ceylon; three sisters, Shirley, Marva and Alma; a son, Michael; a daughter, Sherri; and a granddaughter. All live in Memphis.